All women want to be beautiful, but many are afraid of cosmetic surgery. Women are constantly at odds between their ideas of inner beauty and outer beauty, natural beauty and artificial beauty. According to Dr. Hema Sundaram, a cosmetic dermatologist and author, "Restoring the balance between a woman's inner and outer selves can transform her life." Dr. Sundaram strives to restore that balance each day, both in her one-on-one work with patients and through her book. In this interview, she shares tips and advice on holistic beauty and cosmetic surgery. LTK: In your book, you advocate holistic beauty. What is that exactly? Dr. Sundaram: When I devise holistic beauty programs for my patients, I combine advanced at-home skin therapy and state-of-the-art in-office cosmetic procedures with lifestyle modifications such as stress reduction. I focus on cosmetic procedures that are less invasive, have little or no down time and give natural-looking results. Most importantly, these procedures harness our ever-advancing understanding of skin function and the aging process. For example, I use Restylane to fill facial lines and under-eye hollows, and to restore fullness to thinning lips. Restylane is a pure biosynthetic form of the hyaluronic acid that is naturally present in your skin, where it provides support and structure. Your skin loses hyaluronic acid and other support substances as it ages. Expert Restylane treatments simply restore what has been lost with time, to lift your face subtly and beautifully. A holistic beauty program doesn't morph a woman into the "new you" that's touted in so many plastic surgery advertisements; rather, it allows you to re-discover the "real you": to look in the mirror and feel a perfect balance between what you project externally and who you are internally. LTK: Do supplements improve the condition of the skin? Dr. Sundaram: If you're taking care of yourself and eating well, you should be getting enough of the vitamins and other nutrients you need from your diet, including the free radical-destroying antioxidant vitamins A,C and E. There's no harm in supplementing with a one-a-day multivitamin - especially if you have dietary restrictions. I take a daily multivitamin because I don't eat meat and thus might be at risk for iron or vitamin B deficiency. Essential fatty acids (EFA) cannot be manufactured by your body, including your skin; you must take sufficient quantities of them in your food or supplements. The typical American diet may leave you lacking in omega-3 EFA, which can be corrected by adding canola oil, nuts and fish to your diet or by taking a supplement. But there can be harm in overdoing your supplements. For example, excessive vitamin A supplements can cause hair loss. Recent research fuels concerns that high doses of vitamin E supplements may actually interfere with your body's own ability to destroy harmful free radicals. More than supplements, the right diet can improve your skin, reduce skin cancers and retard aging. A low-fat diet rich in grains, fruits and vegetables increases your body's capacity to destroy free radicals. LTK: You are an advocate of meditation. How does that help the skin? 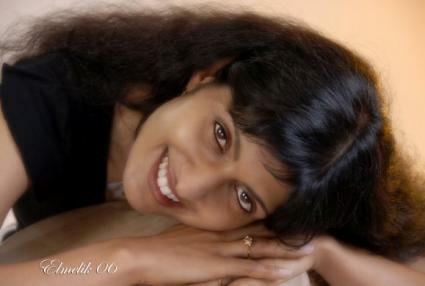 Dr. Sundaram: I believe that you can only be truly beautiful if you feel beautiful. And feeling beautiful begins with locating your inner beauty and bringing it to the surface. The best way to tap into your inner beauty is through meditation. My book's seven meditations are specifically designed to develop and surface your inner beauty. Their objectives ties into the rest of my beauty regimen. For example, there are meditations to help you see your face positively and to continue to do so as it ages. And there's a meditation that helps women give up self-destructive habits that sabotage beauty, such as smoking, excessive drinking or picking at their skin. 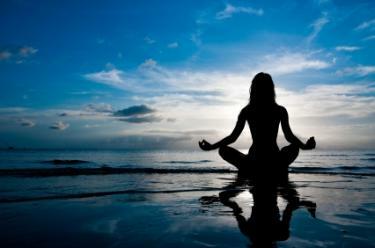 Medical research shows that meditation is a very effective stress reliever. LTK: What is the number one skin concern of women today? Dr. Sundaram: The number one skin and beauty concern of women today is to reflect externally the energy and vitality they feel internally. Women want their skin to remain lustrous and radiant even as they age. If a woman chooses to have cosmetic surgery, she wants to be sure that the results will look natural and that she avoids the "plastic" look that's a dead giveaway of having had "work" done. 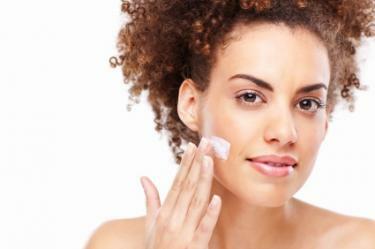 LTK: What is the biggest mistake women make in skin care? Dr. Sundaram: The biggest mistake women make in skin care, and in cosmetic procedures, is to get hung up on one flavor-of-the-month product or procedure, rather than focusing on what they wish to improve. The best results are usually achieved by an individualized combination of products and procedures. That's why it's so important to select a cosmetic surgeon who has the expertise to formulate an action plan that addresses your own unique pattern of aging. LTK: What one change would make the biggest impact on skin's appearance? Dr. Sundaram: Quitting smoking profoundly improves your skin's health and appearance, and slows your rate of aging. Smoking even a few cigarettes a day decreases blood flow within your skin, thus slowing the delivery of nutrients and the removal of toxic substances. Smoking also damages your skin's elastic fibers, increases your risk of developing skin cancers, slows your skin's healing rate and worsens hormonal imbalances during perimenopause and menopause. I can invariably tell if a woman smokes simply by looking at her; the sallow skin discoloration, gaunt cheeks and wrinkles that characterize "smoker's face" are unmistakeable. LTK: There is such an emphasis today on youthful beauty-- how can we fight aging? Dr. Sundaram: I believe that we shouldn't fight aging; every woman should understand and embrace the aging process and figure out what she wants to do to look and feel her best at any age. We've all met women who are not classically beautiful, but who have a magnetic aura about them. They radiate self-assurance and serenity. To me, that's transcendent beauty and, if a woman has it, it doesn't matter whether she's twenty or sixty; she'll still turn heads - and keep them turned. LTK: Are at-home beauty treatments effective? Dr. Sundaram: Some are; some aren't. You can improve your skin significantly with the right at-home skin care regimen - and also optimize your results from cosmetic procedures, should you decide to go that route. The key is to use effective products consistently and to be patient. Face Value includes a comprehensive guide to skin therapies available from drugstores, doctors' offices and on prescription that can truly improve your skin's health and reverse aging. Face Value also shows you how to select the right products for your skin and how to incorporate these products into a quick daily regimen that fits even the busiest lifestyle. 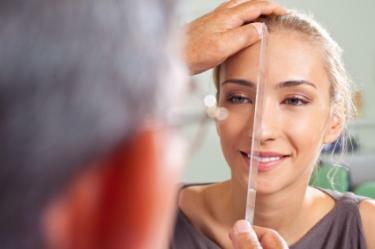 LTK: What advice would you give someone considering cosmetic surgery? First, make sure you're ready to be beautiful. In Face Value, I describe the Five Red Lights of Beauty - warning signs that practically guarantee you won't be happy if you have cosmetic surgery. I also discuss the Six Strategies for Successful Cosmetic Procedures. Second, select the right cosmetic surgeon - one who takes the time to establish rapport with you and get to know you as a person, not just a medical case. Your cosmetic surgeon should offer you a wide range of state-of-the-art technologies and have the expertise to formulate an individualized action plan that will achieve your objectives. Face Value includes important information on how to choose the right cosmetic surgeon. Third, educate yourself - and make sure your surgeon educates you - about how much you can achieve through minimally invasive, scar-free cosmetic procedures. Old-style facelifting often results in an overstretched, "done" look, and the skin becomes loose again after only a few years. Today's approach to the aging process is to achieve the most natural-looking results by not only tightening your skin but also replacing lost volume and relaxing overactive muscles. New lasers and laser-related technology, such as the Palomar StarLux, tighten from within by stimulating your skin to produce its own collagen. Lost volume can be naturally replaced with Restylane, and overactive muscles are safely relaxed by tiny doses of Botox. Another muscle relaxer, Reloxin, will soon be available in the U.S. too. These new procedures rejuvenate you dramatically, yet so naturally that others may think you look refreshed, but are totally unaware you've had cosmetic surgery - unless you choose to tell them. Dr. Sundaram's book, Face Value: The Truth about Beauty -- and a Guilt-Free Guide to Finding It, debunks many of the myths surrounding cosmetic surgery and "artificial" beauty. In addition, the book offers tips and suggestions for non-invasive skin treatments and products. It is available on Amazon.com. Dr. Sundaram explains that she became a dermatologist because "I've always been fascinated to observe how the skin is the nexus of all factors affecting beauty, from your spiritual being to your pheromones, your genetic imprints to your lifestyle." Fore more information, visit Dr. Sundaram's web site for details on her medical practice, as well as her book and articles.